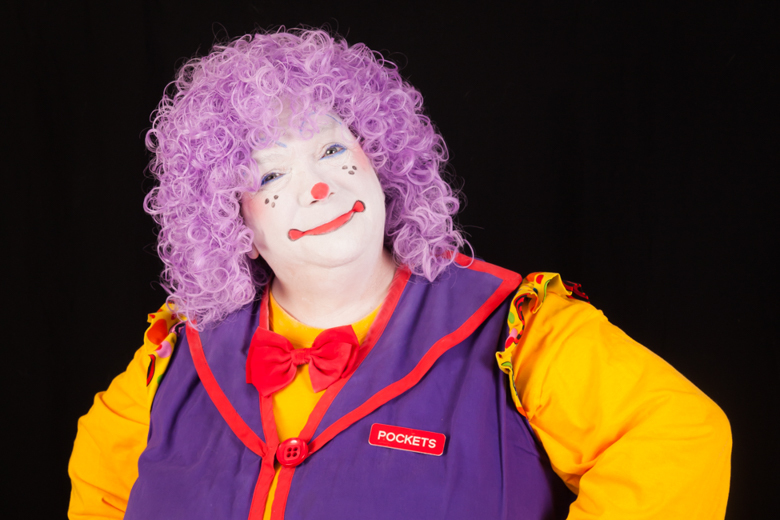 Pockets the clown has been entertaining children for over 30 years! My father, Twinkletoes the clown, started the family business about 50 years ago. 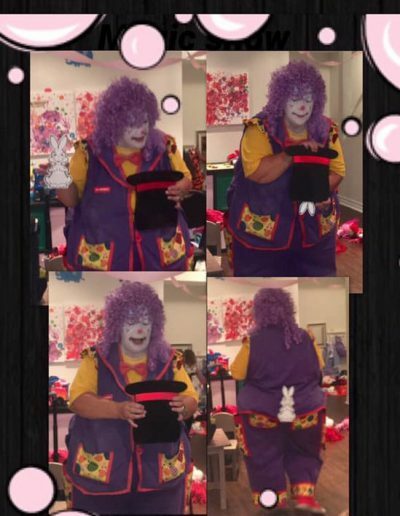 My mother (Sweetpea the clown) and father have both passed away now but I am proudly continuing the tradition with my brother, Bilbo the clown, and now my eldest daughter Pinky the clown! It all started shortly after 1986 when I told my dad I wanted to make some extra money for my growing family. My dad had been a clown and a magician since he was 17 years old, so he was able to teach me on “how to be a clown”. I have performed at birthday parties every weekend ever since. He would be very proud that I am continuing the family tradition. Make no mistake, I am no ordinary clown! This is my passion, and much more than ‘just a job’ to me. 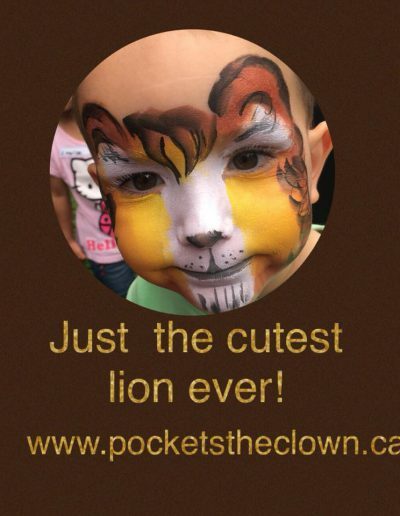 In order to ensure I bring the very best quality of entertainment to you – I am a proud member Toronto Clown Alley and Family Entertainers. 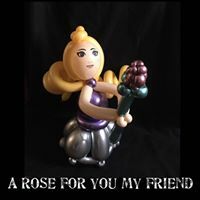 I travel to attend workshops all over Ontario and even the USA! 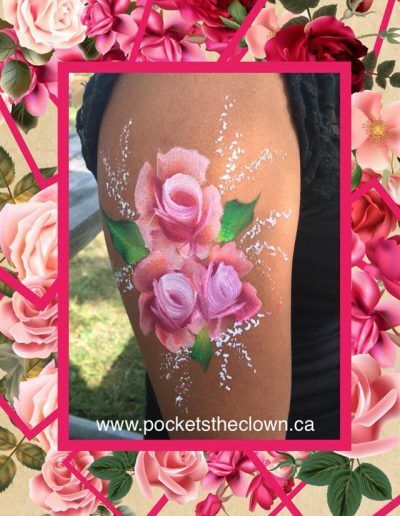 These workshops upgrade my face painting skills, learn new and unique balloon creations, interactive comedy magic tricks as well as classes on pure entertainment that I can now bring to you in your very own home or venue! I specialize in birthday parties but the fun doesn’t stop there! 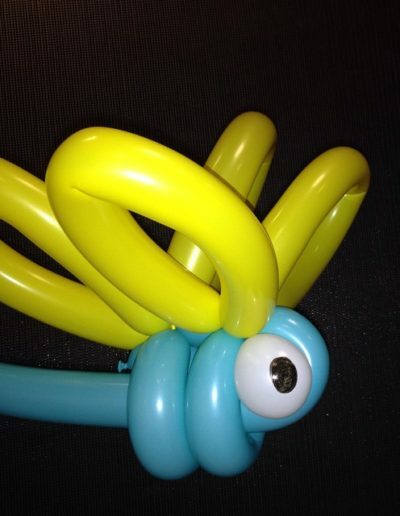 I love BBQs, corporate events, school/daycare events or even just helping spice up a family get together. 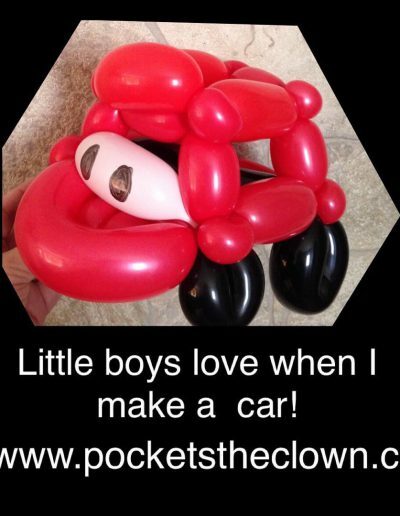 My family of clowns can provide a great service to you and your friends and family for a very reasonable price. Stay confident in knowing I am a fully insured ($5 million) complete with a legal police check. 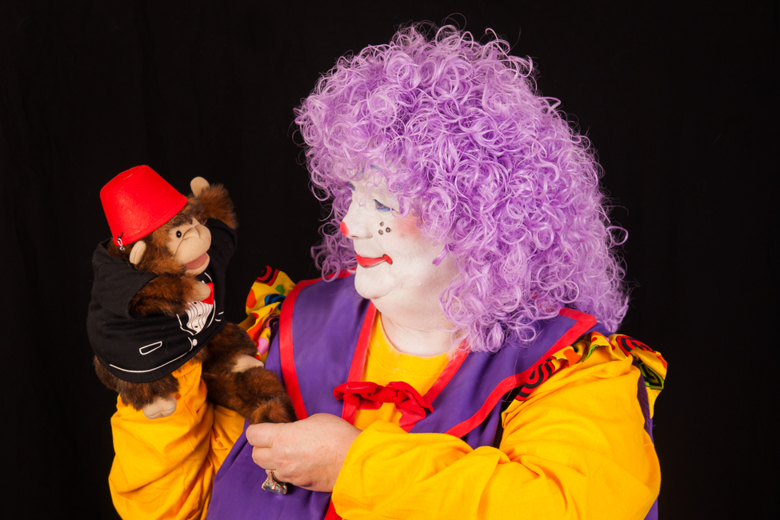 I am a gentle, fun loving, traditional white face clown. My job is make children laugh, smile, giggle and have lasting memories of their birthday party. To make one person smile or pee their pants… just a little…my job is done. Give me a call today! 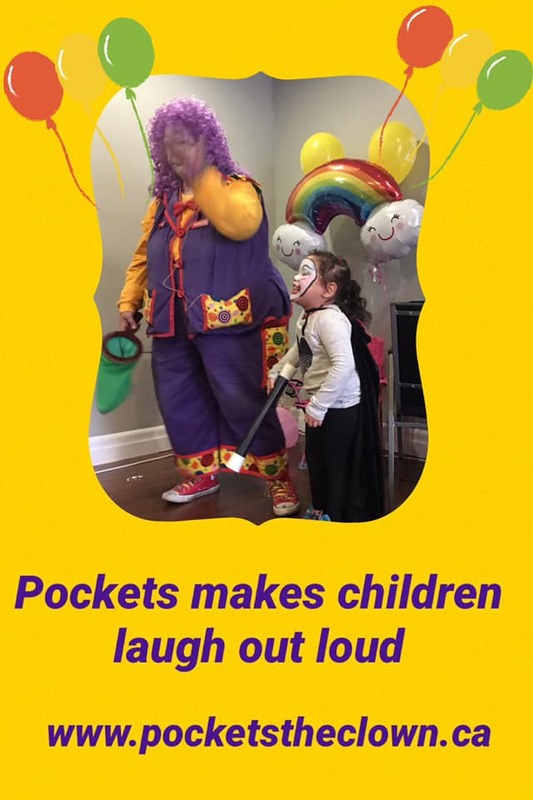 Pockets Parties – Where the FUN begins! Do you want to make lasting memories for your birthday child? 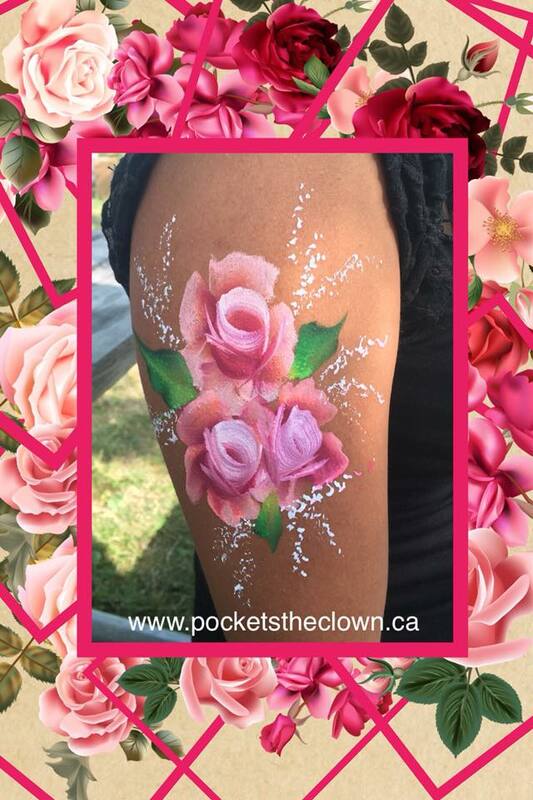 Do you want to draw a crowd to your event? Keep your guests laughing at her interactive comedy magic shows! 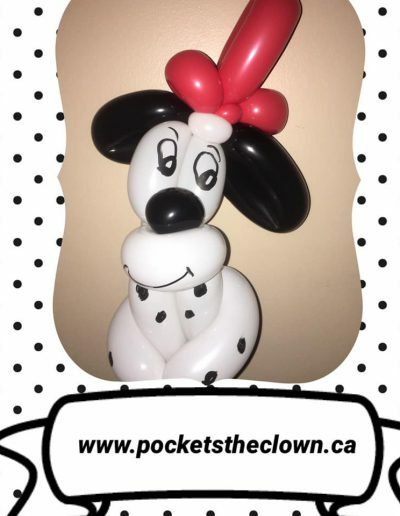 Birthday parties, day cares, grand openings, parades, school events, summer picnics, Christmas parties, balloon a grams….where ever you need a clown….. 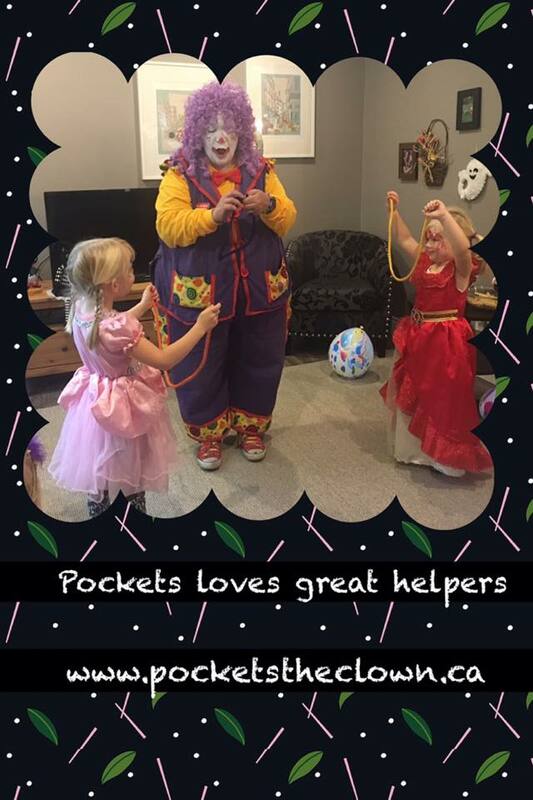 Pockets and her family of clowns are willing and able to service whatever your entertaining needs are. Pockets has her own sound system too! Pockets lives in Brampton but is willing to travel just about anywhere her GPS will take her. All of the Greater Toronto Area, including north to: Newmarket (and surrounding area), as far west to Cambridge (and surrounding area) and east to Pickering. Additional travel time is added any parties outside of a 30 minute driving radius of Brampton. Its very important to contact Pockets as soon as you pick your date. Weekend dates book up very quickly so booking months (yes months) ahead is recommended. Set a date that is close to your child’s actual birthday. Check with immediate family members schedule to make sure they can attend. Set a time frame. Please make sure this allows time for entertainment, food, presents and of course CAKE! 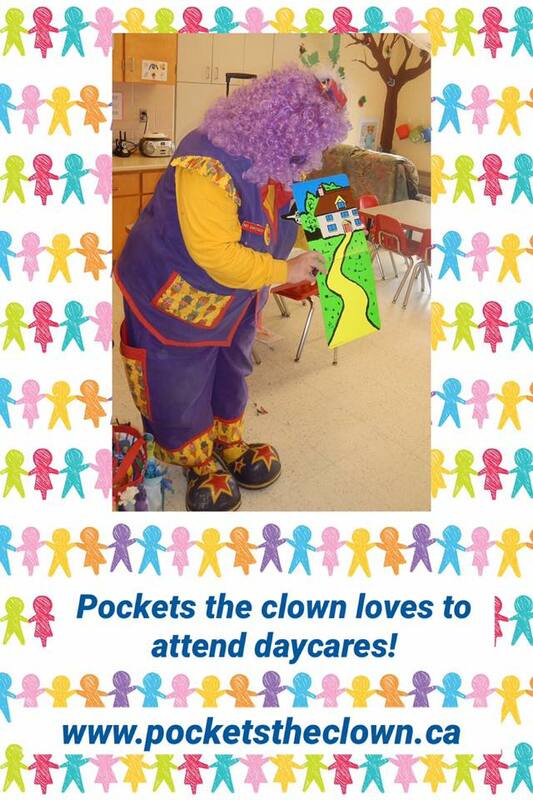 Call or text Pockets the Clown to check her schedule. Please invite her 1 hour to 1.5 hours after you have invited your guests. This allows for late comers. Send out invitations. Set a RSVP date. 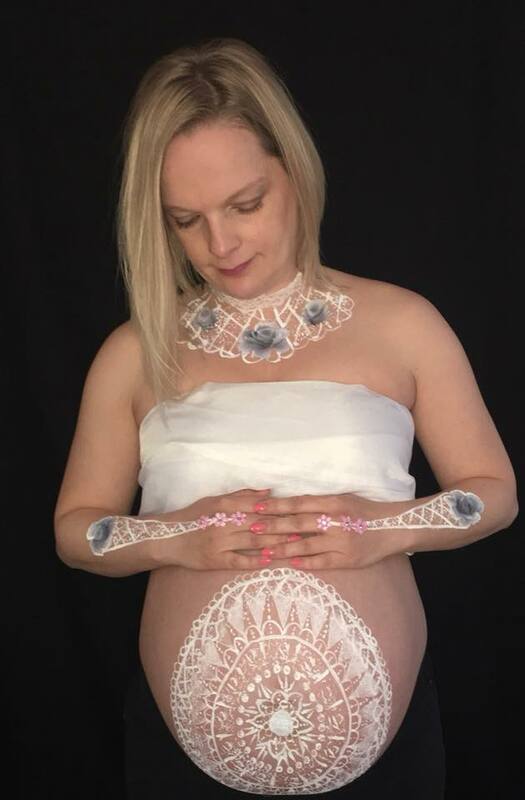 This gives you a good idea how many children will be attending. Text messages RSVP’s are great! 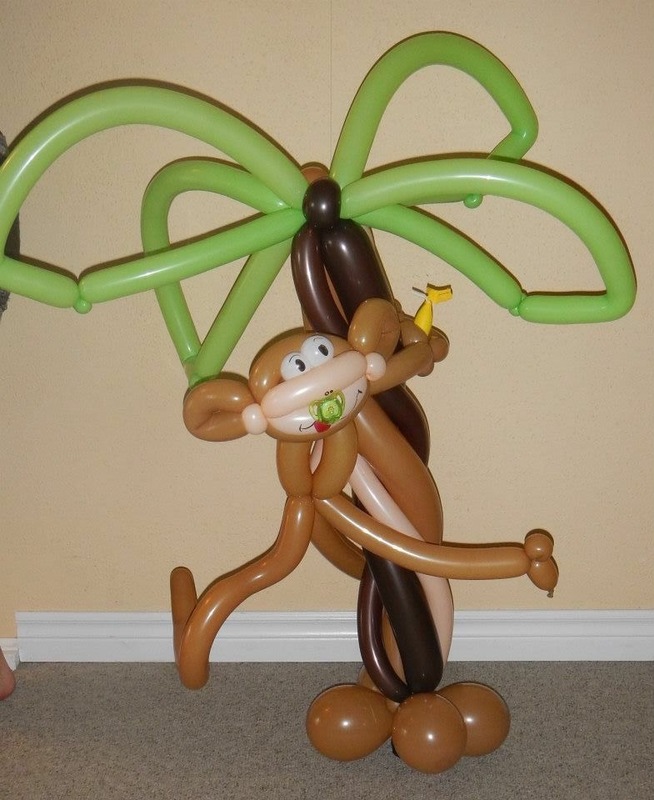 BRONZE– basic one hour birthday party package will allow 30 minutes for animal balloons and 30 minutes for a magic show. 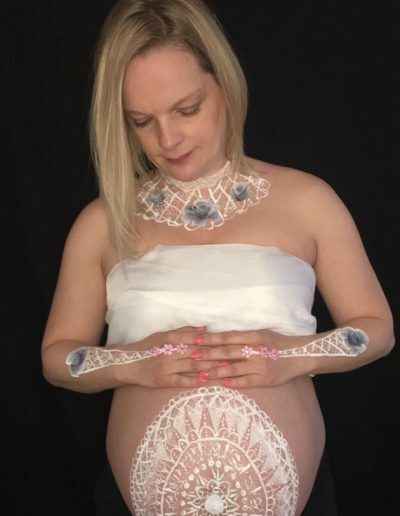 SILVER -1.5 hour package will include aprox 60 minutes for face painting and either 30 minutes for animal balloons OR 30 minutes for a magic show. GOLD -2 hour package will include 60 minutes of face painting, 30 minutes of animal balloons and 30 minutes of magic. CANCELLATION FEE OF $50 WILL BE BILLED WITH ANY BOOKING UP TO 2 WEEKS PRIOR TO YOUR EVENT. Please save a parking spot close to the front door of your event. Pockets has a lot of bags to carry in and assistance up and down stairs is greatly apprecitated. 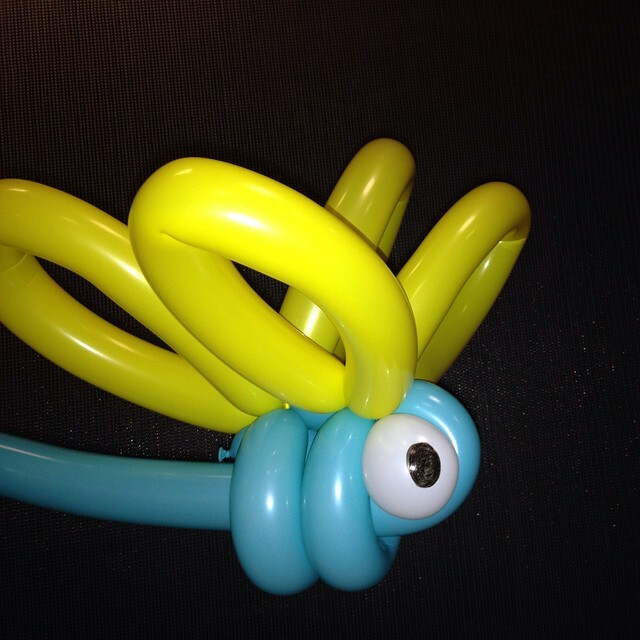 Please place a balloon or sign on the front door of your event. This allows your guests to know… Yes… The party is here! 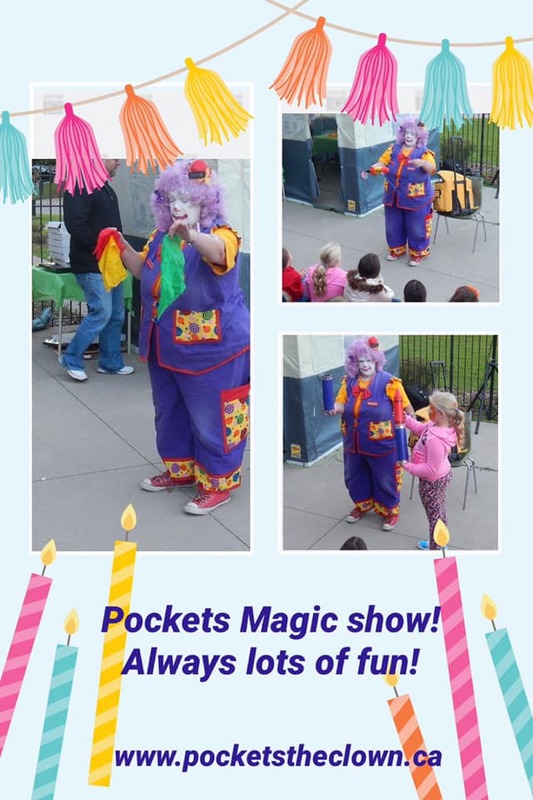 Please ask your guests to keep the conversations to a minimum while Pockets is performing her magic show. It’s important for the children to be able to hear me. Please turn off all TV’s and music while the magic show is going on. If we are outside please make sure Pockets is in the shade. I am in full clown attire and it’s hot! Preferred payment is due in cash on the day of the party. Please have it available for pickup at the end of the event so that Pockets can leave on time to manage her other parties. Cheques are payable to POCKETS PARTIES. We booked pockets last minute and she was AMAZING. 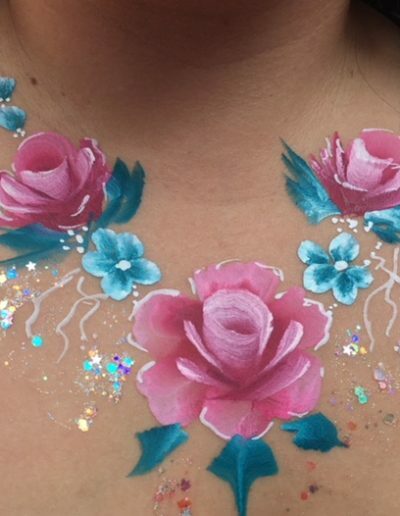 She set up right away, started face painting and might I add she was amazing at it! All the kids loved her. Will definitely book pockets again. Amazing price and such a friendly clown! We love pockets! Thanks so much for attending Theia’s party today! She had an amazing time! 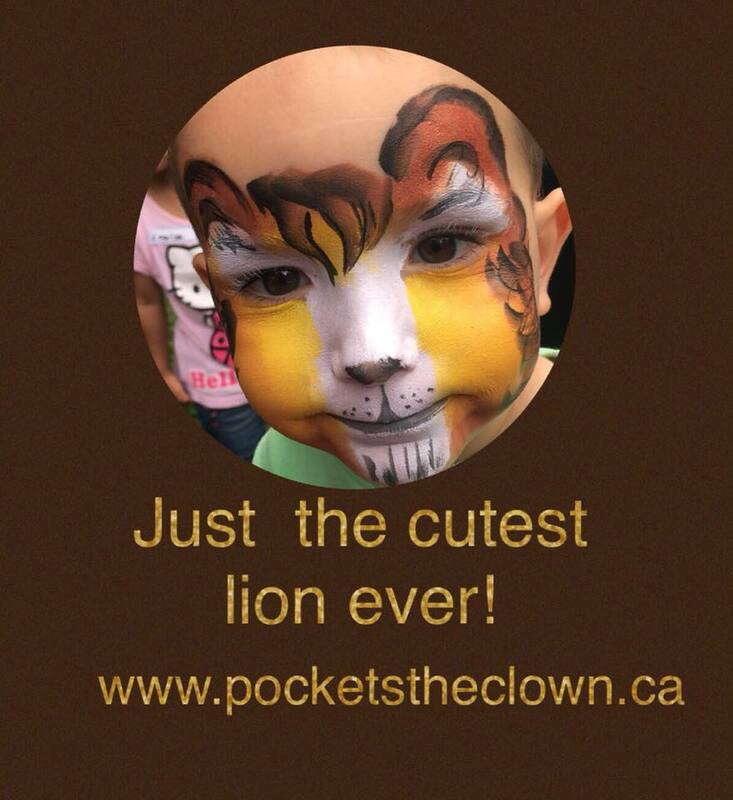 You were amazing with the kids and your such a talented face painter! I can’t believe how amazing the kids looked!! We received so many compliments about you! Thanks so much! Thank you for the memories Pockets! 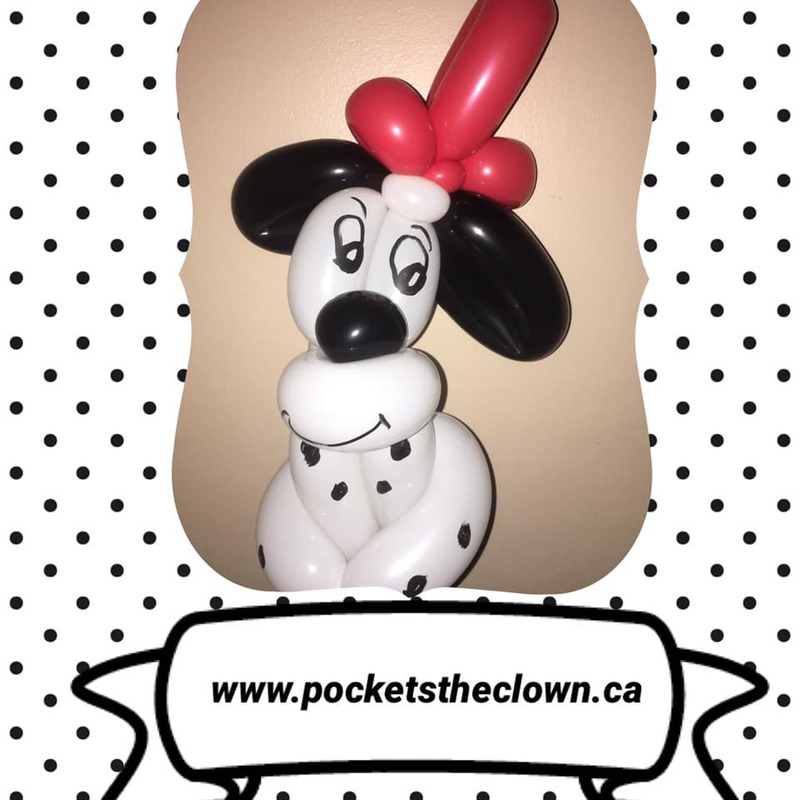 I would recommend Pockets Parties for your next birthday party! Pockets was awesome and far exceeded our expectations! 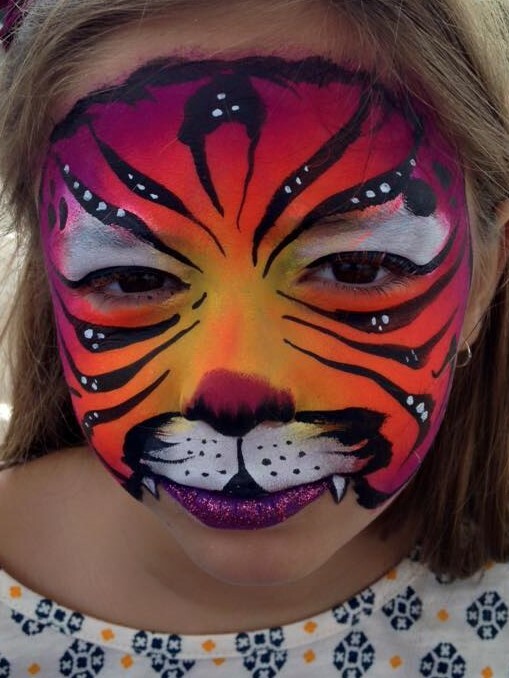 Brilliant balloons and magic and her face painting was beautiful & so professional – and many of the kids didn’t want to wash it off! 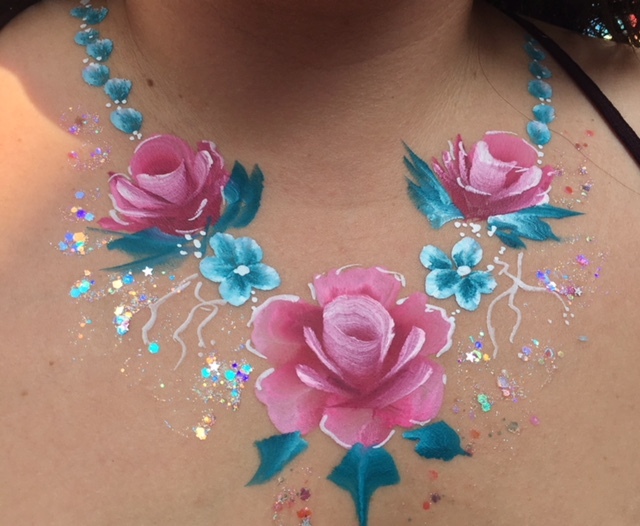 She made our party for twenty 7-year-olds super easy and my daughter has already asked if she can come back next year! I wouldn’t hesitate to recommend her! 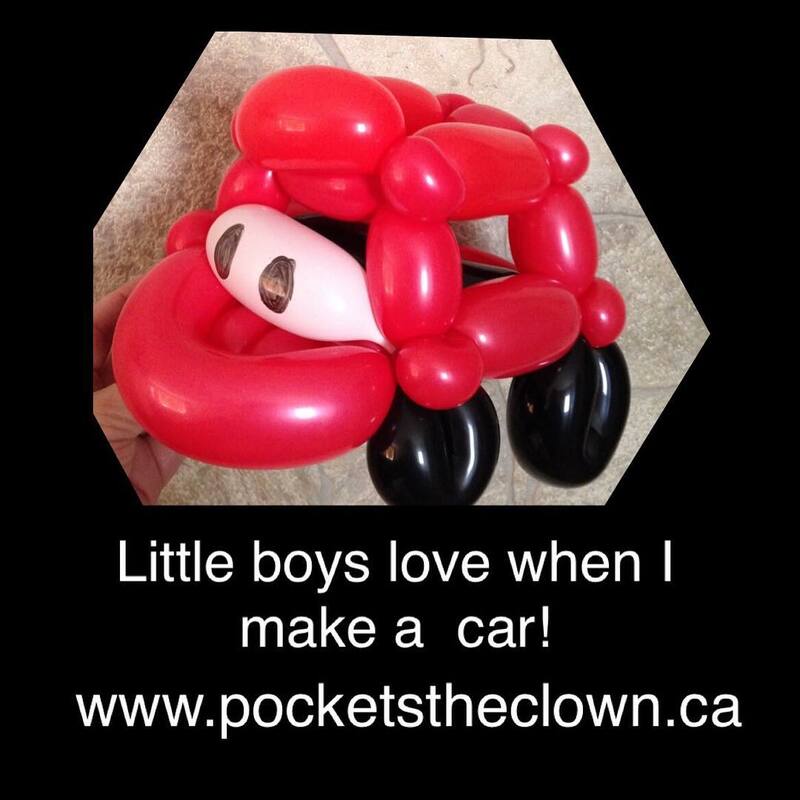 Want a quote from Pockets The Clown? 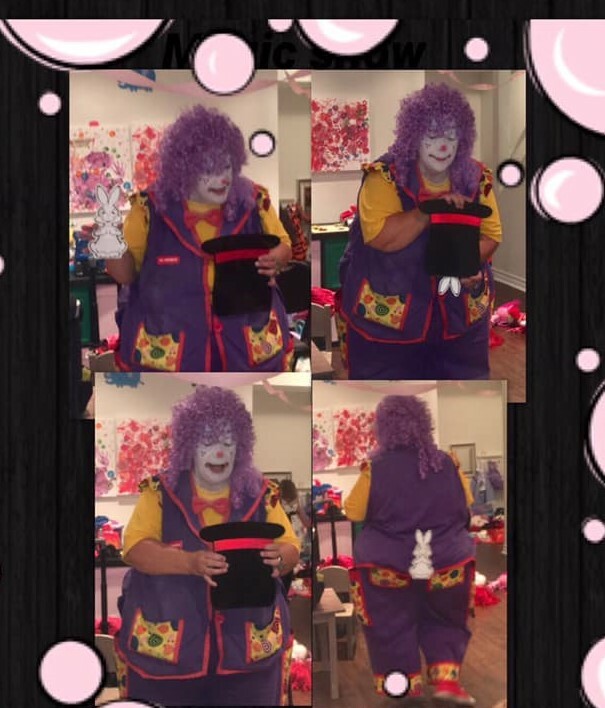 Ready to book Pockets the Clown for your party? 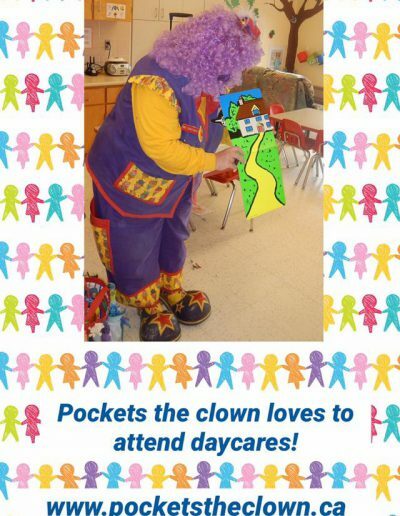 Want to submit a review for Pockets the Clown?